"...The shoes have a bit of a heel, and it's a strange sensation for a man. Especially when you're running." He mimes a mincing trot. "I am mighty Hornblower! Watch me run like a girl!" we wanted them to be believable as well. history you just run with it. It was a gift really. you were a gay couple in real life? loves the programme Bonanza! I drop the stetson but I do get to wear cowboy boots and a long ranger's coat, so that's cool. still do eight years later. IG: Well, there's a big game coming up in Wales. Wales is playing England in a rugby match, and that's one of my big passions. And that's coming up on the third of February, so it's very close, and already I'm starting to feel the excitement about it. I know it sounds pathetic, getting excited about a match, a game. 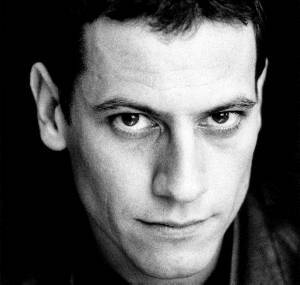 - From A&E's interview with Ioan after the new movies . Have you read the books and which one is your favorite? IG: I have read them all, and Hornblower and the Hotspur I like a lot. Of all the films, which has been you're favorite and why? IG: Of the first series, I love The Frogs & the Lobsters. 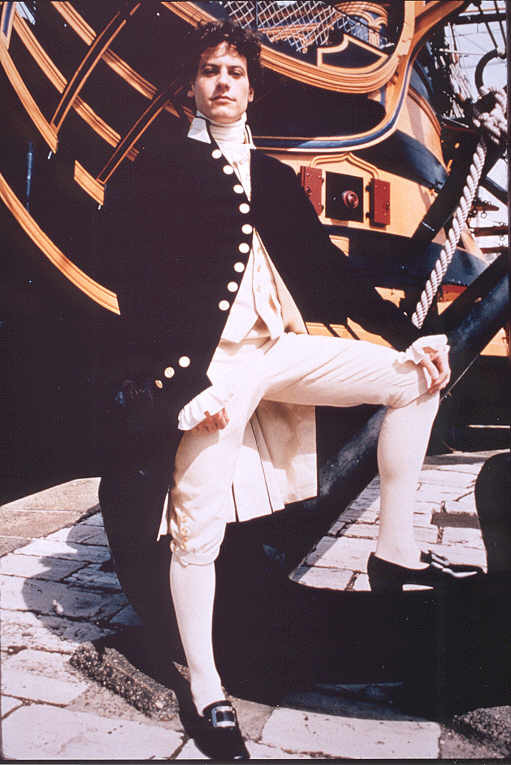 In that movie, Hornblower has developed into more of a man, I think, compared to when he first arrives. And I enjoyed the location and story and action. 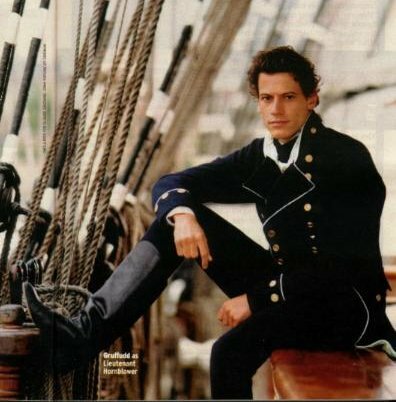 How would you describe Hornblower's personality? IG: He's a very cerebral sort of character. Where I sort of act on instinct and emotion, he's very cerebral, very thought out, very clear. He's compassionate towards everybody and towards his cause and towards the fight for justice against injustice. He's very loyal. I think he's charming because of that. He is vulnerable. He's very human and very heroic. He is heroic because he is so human. People find that amazing, extraordinary. He's got this ability of getting people to do things they don't necessarily want to do by instilling confidence in them, and not shouting at themhe's not a leader in that sort of sense. 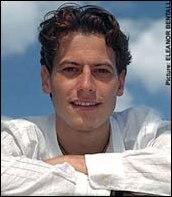 How much of Ioan would you say comes out in the character of Hornblower? IG: Well, I suppose quite a lot. It's difficult not to, because it is me playing him. This is going to sound egotistical, because he's such a brilliant character, but I suppose there are aspects like the loyalty and the compassion and the honorable aspects of him that I think I possess. But as I said, I'm probably more instinctive and emotional than he is. 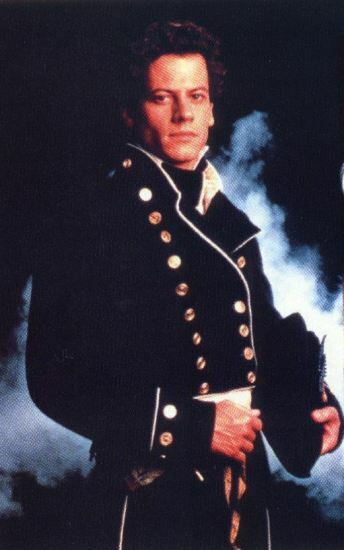 Also, Hornblower is tone deaf, and I'm actually quite musical. Hornblower is scared of heights, and I'm not really that scared. But we do both get the same seasickness feeling. But I don't actually get physically sick. But I get that sort of feeling. Of all of the locations you've worked in so far, which one has been your favorite and why? IG: Menorca [Spain]. Portugal was fantastic as well. Just the fact that you could go swimming in the Mediterranean at the end of every day was a bit of a treat. honest. Immense loyalty as well. 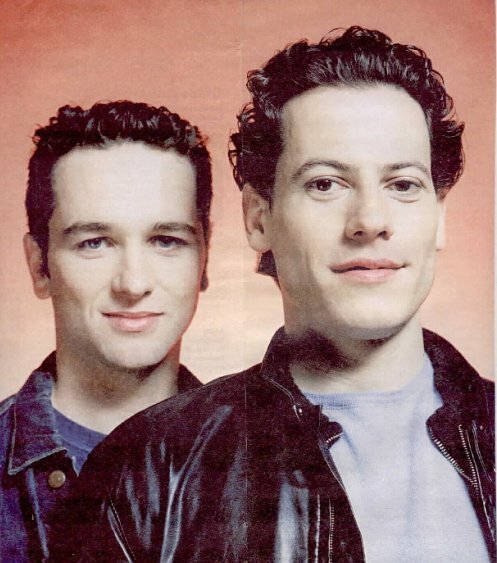 We get on very well anyway, Ioan and I, which is always helpful. We're always having fun on the set. But also, I think the fact that they are slightly different does help. 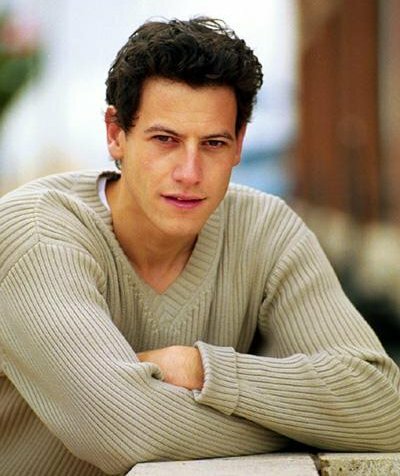 Tell me about working with Ioan. Have you kept in touch since the last episodes were shot? RL: No. Don't want to see him. Actually, that's not true. 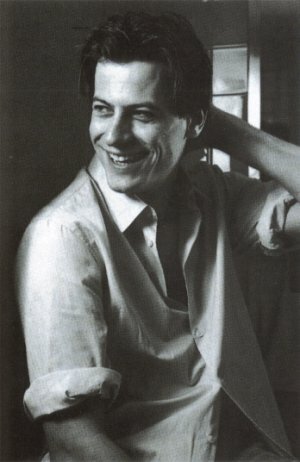 I did Richard III in Cardiff where Ioan was born, and his parents wrote to me and offered me to come over, because they knew I looked after Ioan. I was very much a fatherly figure. Now he looks after me.